Frame guarantees to effortlessly enhance the appearance of your home’s front entrance. Our range of high-quality Composite Doors in an arch frame will provide your home with a core focal point that oozes style and sophistication. 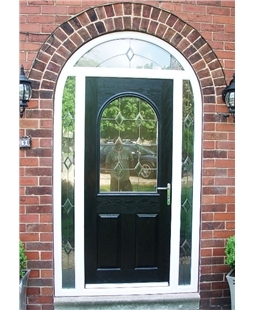 Up and down the country, homeowners are having Composite Doors installed into their homes with Arched Frames. With Value Doors, we help you design the entryway of your dreams.